Against one of the competitions lowest ranked remaining sides FC United completed a rout as they defeated Bridlington Rovers 13-0 at Broadhurst Park. Jess Battle earned the headlines as she netted seven times with Aimee O’Keeffe helping herself to a brace, as did Rebecca Foster, with Kirsty Chambers and Corie Mather completing the goalscorers for the Rebels. It wasn’t such an easy afternoon for West Didsbury & Chorlton as they bowed out at home to Women’s National League side Bolton Wanderers at Brookburn Road. The visitors lead 2-0 at the break before adding two quickfire goals in the second half to complete a 4-0 victory thanks to goals from Kelly Halligan, Saffron Newhouse and Rachel Hindle. Altrincham made it five wins from five as they beat Northwich Vixens in the Cheshire Derby at Mersey Valley. The Robins lead initially through Jade Hesketh before Vixens responded and pegged them back to take them into the break level at 1-1. Shortly after the restart Altrincham retook the lead as Hesketh added her second after Megan Rowley had won back possession for the home side. Debbie Price made it 3-1 scoring her first goal for the club since her summer move from West Didsbury & Chorlton before Hesketh collected her hat-trick to make it 4-1. A Vixens free kick pulled the score-line back to 4-2 but the home side secured 3 more points to keep themselves top of the pile and three points clear. It was a thriller in Failsworth as Curzon Ashton, having initially lead 2-0 at, came from 3-2 down at half time to defeat the previously unbeaten Warrington Wolverines 4-3. Curzon raced into an early lead through Mya Holmes and Karen Wilkinson before they were pegged back by a brace from Sam Hassell with Nicola Chatterley to head into the half behind. Having surrendered a lead two weeks ago against Chester it looked like a sense of déjà vu for the Nash but Leoni Harland brought them level with 15 minutes remaining before Nicole Thorp bagged the winner moments later to hand Curzon a vital three points and end the Wolverines 100% start in the league. The win see’s Curzon second whilst Warrington remain third despite Liverpool Feds Reserves 2-0 win over to end Chester’s three game unbeaten run. Both Feds goals came courtesy of Carina Mendes. Wythenshawe Amateurs earned their first point of the season as they came from 2-0 down at Hollyhedge Park Community Stadium to draw 3-3 with Stockport County Blues. Didsbury were without a game as point-less City of Liverpool were unable to field a tean. 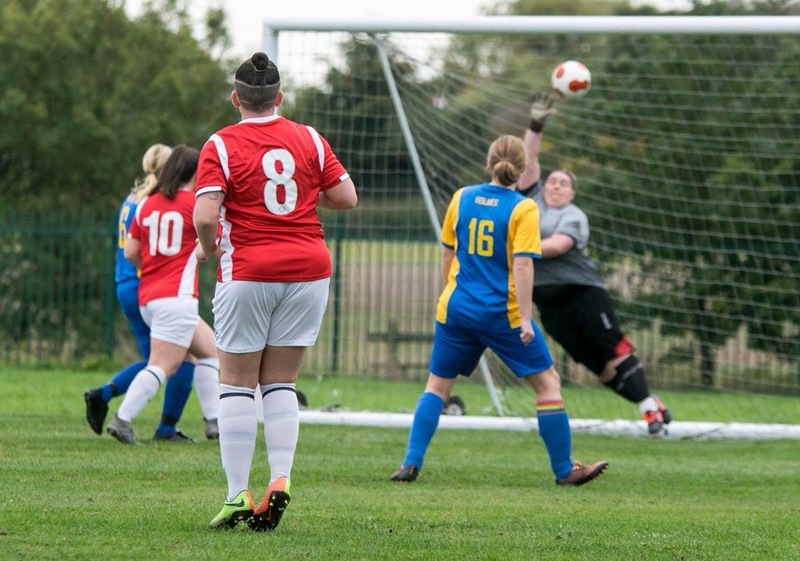 With Barr Hill not in action Salford City made it three wins from three as they saw off Sale Ladies at Partington Sports Village. The Lionnesses were three up at the break thanks to Chelsea Wharton’s free kick before Beth Tattersall added a brace of her own. 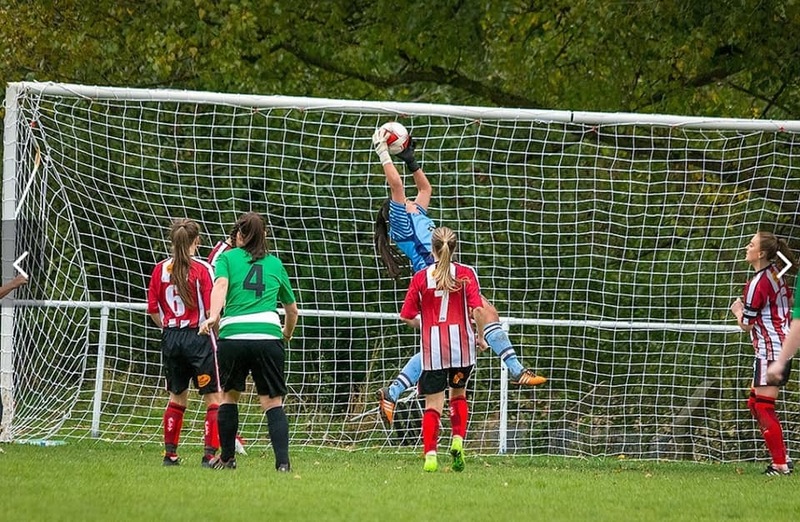 Abby Bennett took over the scoring in the second half adding a brace of her own before Belle Ainscough and Pheobe Duckworth added to the scoresheet to hand Salford a 7-0 win and their third clean sheet in a row. Rochdale ran out 5-3 winners away to Urmston Meadowside to ensure that they remain level on points with Salford albeit having played a game more. Langho recorded their first win of the season as they defeated Bolton Lads & Girls 4-2 with Becky Steen and Alice Hey on target for the visiting side. 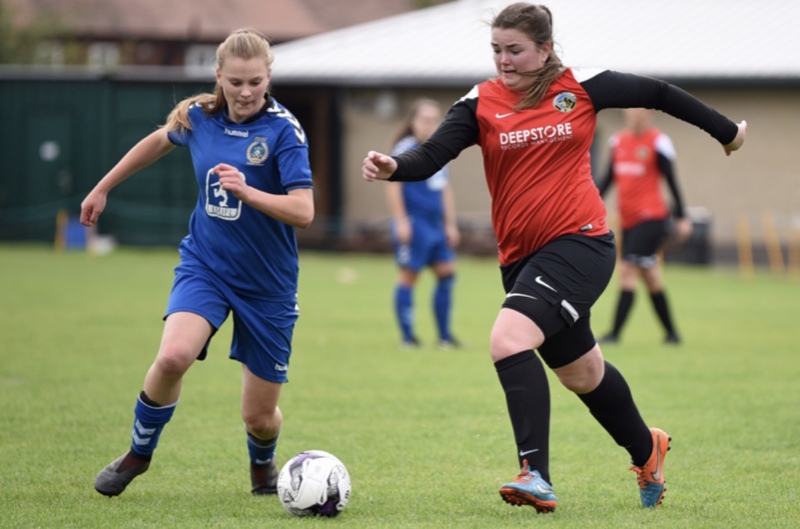 A brace from 16-year old Mia Fenton as well as goals from Leigh McFadyen, Faye Smith, Anna Carson-Parker as well as an own goal saw West Didsbury & Chorlton Development return to winning ways as they came from 2-1 down to beat Boltonian Ladies 6-3. Boltonians had original lead through a Sue Doak brace and the Boltonians players went on to complete her hat-trick. The divisions other game saw Tameside United record an emphatic first win of the season as they won 8-0 away to Flixton Ladies. The goals came courtesy of a four goal haul from Laura Day, a Chiara Young brace and one each from Paige Connelly and Becky Lilly.